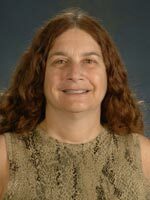 Laurie Katz is an Professor in Early Childhood Education in the Department of Teaching and Learning. She received her doctorate from University of Massachusetts-Amherst in 1992 with a specialization in Early Childhood Education/ Early Childhood Special Education and a Masters in Social Work from the University of Wisconsin-MadisonHer research, teaching and service have focused on teacher preparation of early childhood educators, inclusion issues, relationships between families, communities and schools, and narrative styles and structures of young children. One of the key issues that she has been addressing in teacher education programs is how early childhood curriculum and instruction can be conceptualized to incorporate the broad diversity of children (birth-8 years of age) including children from linguistic minority communities and children with disabilities. A related recent publication is a co-edited book, Scott, J., Straker, D. & Katz, L. (Eds.) (2009). Affirming Students' Right to their Own Language: Bridging Educational Policies to Language/Language Arts Teaching Practices (2009) New York, NY: Routledge/ Urbana, IL: NCTE. Her latest grants include: a) Co-Principal Investigator and Co-author, The Ohio State University project ASPIRE Teacher Quality Partnership Transition to Teaching Project (2009-2014). Office of Innovation and School Improvement, $12.9 million, US DOE Grant; and, b) Co-Principal Investigator and Co-author, Professional Development Module for Preschool English Language Learners. Funded by Ohio Department of Education for Even Start Programs. $50,000 for 2008-2010.Laurie Katz is one of the co-editors of Language Arts that publishes original contributions on all facets of language arts learning and teaching focusing primarily on issues concerning children from preschool-middle school years. Previously, she co-edited Tennessee's Children, a journal of the Tennessee Association for the Education of Young Children. She has been the National Council of Teachers of English (NCTE) Director of the Commission of Language from 2004-2007. From 2009-2010 she held the position of council chair of the College of Education and Human Ecology. Katz, L., Zeynep Inan, H., Tyson, C., Dixson, A., Kang, H. (2010, Mar). Professional Development for the Early Learning Content Social Studies Standards. International Electronic Journal of Elementary Education, 2(2), 261-286. Katz, L. & DaSilva Iddings, A. C. (2009). Classroom Positionings and Children's Construction of Linguistic and Racial Identities in English-Dominant Classrooms. In R. Kuboto & A. Lin (Eds. ), Race, culture, and identities in second language education (pp. 138-157). New York, NY: Routledge. Katz, L., & Inan, H. Z. (2007). Classroom environments. In R. New & M. Cochran (Eds. ), Early childhood education encyclopedia. Westport, CT: Praeger. Inan, H. Z., & Katz, L. (2007). Environmental assessments. In R. New & M. Cochran (Eds. ), Early Childhood Education: An International Encyclopedia, The Praeger handbook of early childhood education (pp. 340-341), Volume 2 E-N, Westport, CT: Praeger. Grine, L., & Katz, L. (2007). Play and gender. In R. New & M. Cochran (Eds. ), Early Childhood Education: An International Encyclopedia (pp.633-635). Westport, CT: Praeger. Katz, L., & Galbraith, J. (2006). Making the social visible within inclusive classrooms. Journal of Research in Childhood Education, 21(1) 5-21. Katz, L., & Schery, T. (2006). Including children with hearing loss in early childhood programs. Young Children 61 (1), 86-95. Katz, L., Sadler, K., & Craig, D. V. (2005). Science professors serve as mentors for early childhood preservice teachers in the design and implementation of standards-based science units. Journal of Elementary Science Education 17 (2), 43-56. Bloome, D., & Katz, L. (2003). Methodologies in research on young children and literacy. In N. Hall, J. Larson, & J. Marsh (Eds. ), Handbook of research in early childhood literacy (pp. 381-399). Mahwah, NJ: Lawrence Erlbaum. Bloome, D., Champion, T., Katz, L., Morton, M. B., & Muldrow, R. (2001). Spoken and written narrative development: African American preschoolers as storytellers and storymakers. In L. Harris, G. Kamhi, & K. Pollock (Eds. ), Literacy in African American communities (pp.45-76). Mahwah, NJ: Lawrence Erlbaum. Bloome, D., Katz, L., Solsken, J., Willett, J., & Wilson-Keenan, J. (2000). Interpellations of family/community and school literacy practices. Journal of Educational Research 93 (3), 155-163. Katz, L., & Bauch, J. (1999). The Peabody family involvement initiative. The School Community Journal, 9 (1), 49-69. Reprinted (2001) in S. Redding & L. G. Thomas (Eds. ), The community of the school (pp. 185-204). Lincoln, IL: Academic Development Institute. (ERIC Document Reproduction Service No. EJ 589 414).